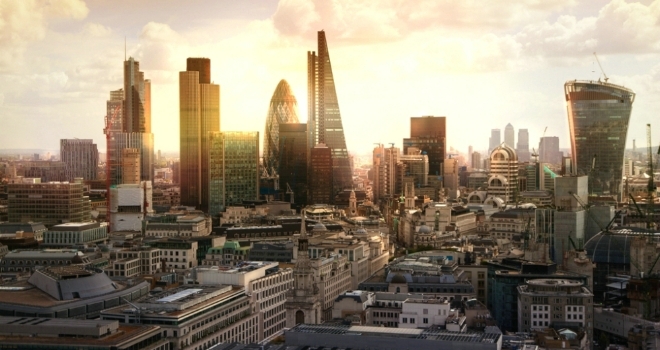 "London was the quickest to recover following in the 2008 recession. However the multitude of blows that have befallen London property market over the last couple of months are obviously proving too much to bear"
According to a new report from independent estate agent, haart, a ‘reverse ripple’ effect has hit the property market with a revival in activity in England’s regions begining to filter through into Outer London. House prices have also started rising rapidly in regions such as the East and South East of England, while they remain flat in Outer London and continue to fall in more central London areas. Following the Brexit vote, the number of UK residential transactions dropped from over 60,000 in June to less than 30,000 in August, falling by over 50%. London has borne the brunt of the damage since, with prices falling a further 0.7% on the month in September and transactions down by 7.4% during the same period. Inner London, traditionally the key driver of national house price growth, is in decline, and some branch agents believe at the current rate London could be the last place in Britain to recover from Brexit. Paul Smith, Chief Executive of haart, comments: “The evidence from our branches is that areas around 100 miles from the capital are where the market is reviving, and this is spreading towards the South East and London – a complete reversal of the traditional ‘London first’ pattern we’ve grown used to. haart’s data reveals that branches around 100 miles away from the capital have seen an average 75% increase in activity month on month in September, while those around 45 miles away from the capital have seen an average 37% increase in activity over the same period. Regions closer to London but outside of the M25, such as Kent and Anglia, have seen activity grow by 5.5% and 6.9% respectively. The ripple begins to weaken as it crosses the M25, with activity in haart’s Middlesex and South London regions falling by 4.3% and 5.7% respectively. Growth inside of the M25 overall sat at a much weaker 1.1% during the same period. Rising activity levels being reported by haart branches are also reflected in rising house prices. The latest ONS UK House Price Index reports that the East of England is currently experiencing the highest growth in terms of house prices across the UK, at 13.3%, and the South East is seeing growth of 12.4% - overtaking London consecutively in the months since the Brexit vote. A lack of activity in London is causing growth in applicant numbers to stagnate. Inner London house prices now sit at an average of £518,997, which is only up 2.4% on the year – markedly down from the 19.3% annual increase that the branches were seeing prior to the rise in Stamp Duty and the Brexit vote. The latest Haart Market Monitor also shows that there has been a 7.4% drop in transactions, and a 5% drop in the number of new properties coming onto the market. Paul Smith, CEO of haart estate agents, continues “London has traditionally been seen as the crown jewel of the country’s property market, as its expanding housing bubble has grown in strength to strength in recent years. Typically resilient, London was the quickest to recover following in the 2008 recession. However the multitude of blows that have befallen London property market over the last couple of months are obviously proving too much to bear.